The Barnwell is our Heavy Duty Workshop. This is a great building to line & insulate to give you a building that you can work in all year round. 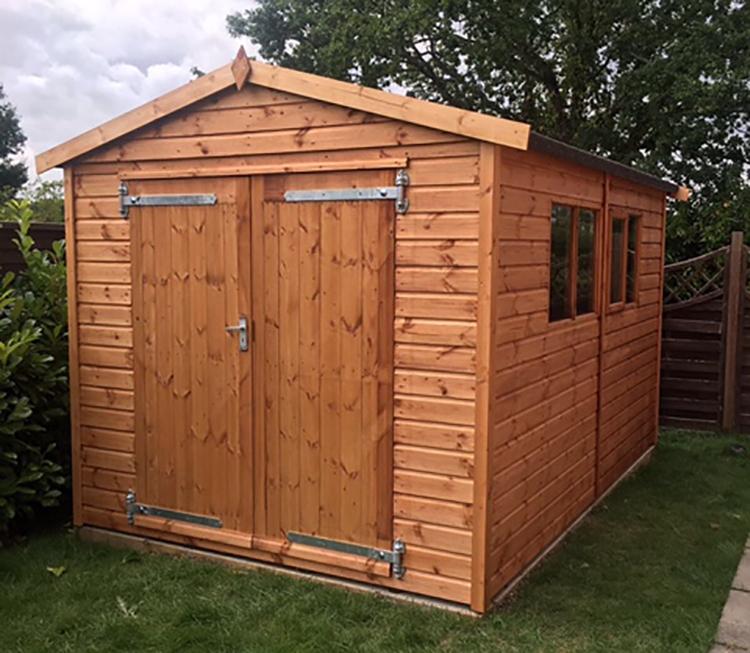 It gives you the opportunity to clear out your garage to make room for a car or a place to carry out your hobbies or even a building to run your business from. The eaves height of this building is a very generous 77” with the ridge heights depending on the size of the building that you have. 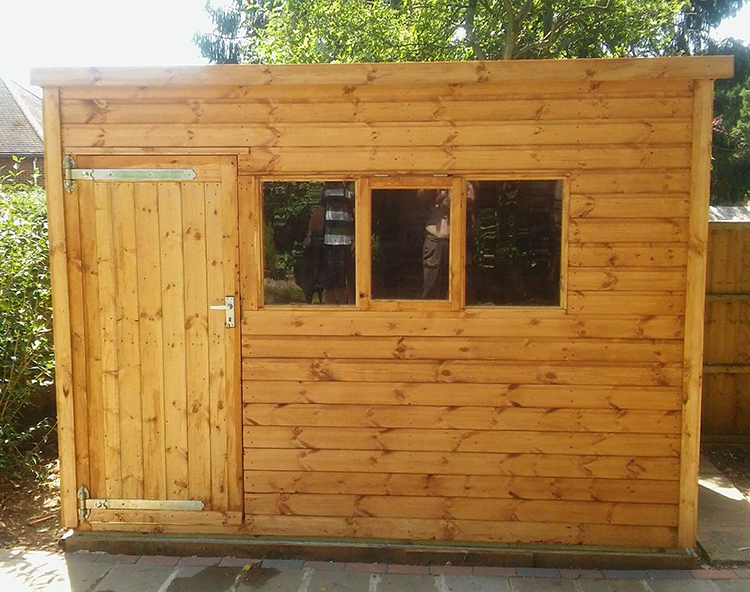 This garden building is constructed from tongue & groove heavy duty shiplap on the four walls & tongued & grooved matching on the roof with a V313 Caberboard floor. Buildings 8’ wide or over come with pressure treated bearers on the floor, toughened glass fitted as standard, a pair of mortice & tenon doors hung on hook & band hinges complete with lock & key & is externally treated with a spirit based preservative, buildings narrower than this come with the same except they have a single door instead of a pair.